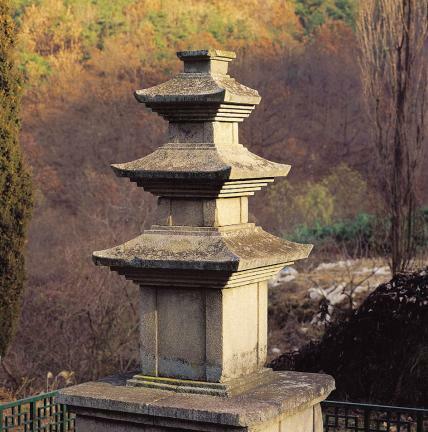 This pagoda stands on the remains of a Buddhist temple whose name is unknown. It consists of a two-story platform and a three-story main body. 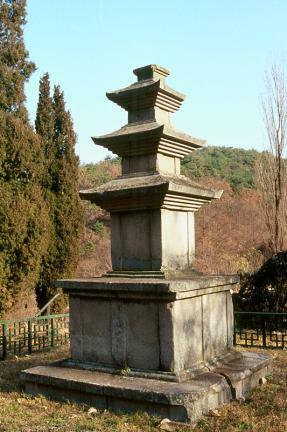 Although repaired in 1975, the rest of the pagoda except the upper platform and the middle stone in the north direction has maintained its original appearance. 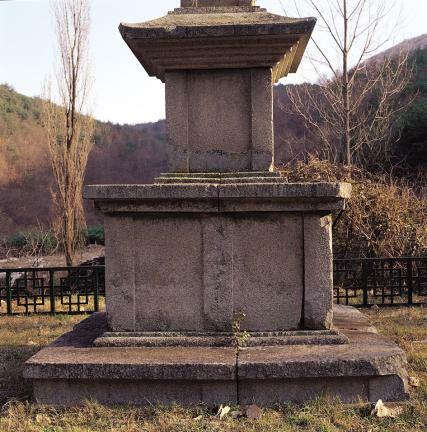 The bottom platform is assembled with four layers of stone, and the middle layer of the bottom platform has the pillar pattern engraved at the edge and the center of the surface. That of the upper platform has the same pattern at the edge and the center of the surface and thin stone layer under its top layer. The pillar pattern is also placed on the surfaces of the main body of the pagoda. The upward edge of the roofstone renders a lively feel to the entire pagoda. Today, only the base of the head remains. Compared to the delicate decoration at the platform, that of the body is rather formalized. 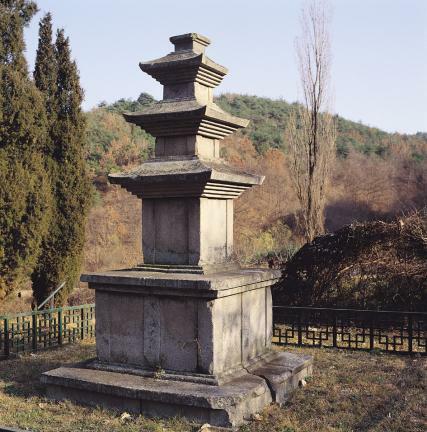 Based on this, this pagoda is estimated to have been built in the late 9th century when the stone pagoda was simplified and omitted on a large scale.